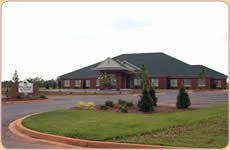 We are located off of Hwy 9 (Boiling Springs Rd) at North Grove Medical Park, near I 85. Our OBGYN location in Greer, SC is conveniently located around Taylors, Wade Hampton, Duncan, Wellford, Startex Reidville and all other towns in and surrounding Greenville and Spartanburg counties. We look forward to serving you!